The Thompson v. Hebdon lawsuit challenges Alaska’s limits on out-of-state campaign contributions. If Alaska can limit out-of-state campaign contributions, why can’t other states? A case before the U.S. Court of Appeals may soon give us an answer. 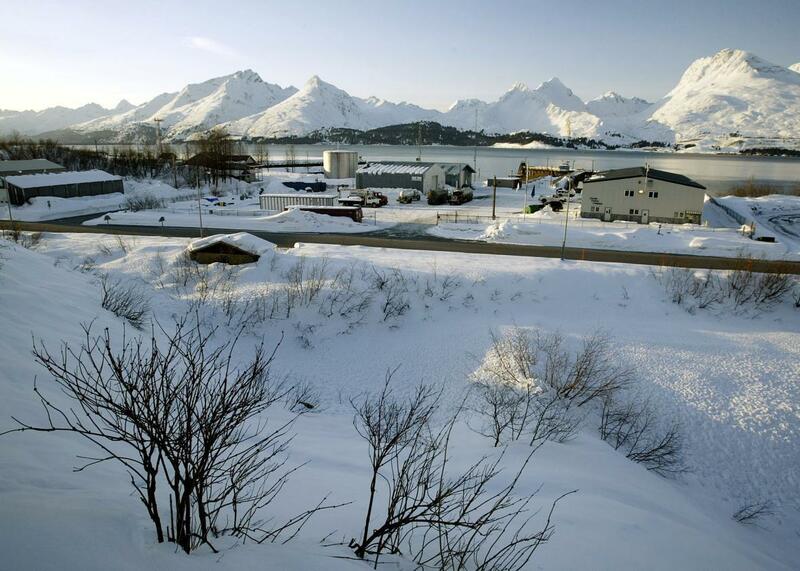 A little-known court battle in Alaska could be the next big money-in-politics controversy. Thompson v. Hebdon concerns the state’s campaign finance laws, which are some of the most stringent and progressive in the country. One of Alaska’s most contentious provisions caps the amount of money that state-level candidates can receive from out-of-state donors and is now part of a lawsuit that will soon go before the 9th U.S. Circuit Court of Appeals after a lower court upheld the restrictions. Attorneys for Alaska are citing as precedent Bluman v. FEC, a 2012 Supreme Court case ruling that foreign citizens do not have the right to contribute money to U.S. elections. The state’s attorneys wrote in their brief, “Just as a Canadian citizen is not part of the political community governed by the U.S. federal government, a Florida resident is not part of the political community governed by the Alaska state government.” Advocacy group Free Speech for People, which filed an amicus brief supporting Alaska in July, points out that the state has long been suspicious of out-of-state actors interfering in its politics. The Alaskan tundra is often the target of companies seeking to tap its natural resources and to influence local elections—presumably for extraction privileges. Outside donors are crucial players in congressional elections. About 100 members of the U.S. House of Representatives in every election from 2006 to 2012 received at least a third of their war chests from out-of-district donors, according to research from Santa Clara University political scientist Anne Baker. Her analysis further suggests that the more money representatives receive from out-of-district donors, the less aligned those representatives are with the political leanings of their constituents. Congress members who receive more money from out-of-district donors also tend to be more ideologically extreme than other representatives, which could be contributing to polarization in modern politics. Though the Alaska provision in question only restricts out-of-state donors, these findings about out-of-district influence nevertheless elucidate the state’s concerns. The influence of these outside contributions also dramatically concentrates power in certain cities. Fontana through his research found that donors in 5 percent of the United States’ ZIP codes contribute more than three times as much to federal elections than the rest of the country combined. He hopes that the Alaska case will push both conservative and liberal states to follow suit. “If a federal court says this is acceptable law, then it would have potential to motivate other states to do the same,” Fontana said. Only Alaska and Hawaii currently impose limits on out-of-state contributions. Oregon and Vermont have both attempted to enforce bans on outside money in the past. Both were struck down. In 1998, the 9th Circuit Court found in Vannatta v. Miller that Oregon’s prohibition of out-of-district donations was not narrowly tailored to prevent the corruption that the law was attempting to prevent. In 2000, the 2nd Circuit Court of Appeals ruled in Landell v. Sorrell that Vermont’s regulations, which allowed only 25 percent of a candidate’s total contributions to come from outside the state, were also not appropriately tailored to address corruption. Fontana asserts, however, that Thompson v. Hebdon is different from those two cases because the attorneys are justifying the restrictions on the basis of state’s rights, rather than corruption prevention. Protecting those rights is even more important now as the amount of out-of-state contributions has increased since those decisions were handed down. He believes that this is a rare bipartisan issue, because it combines conservatives’ desire to promote federalism with liberals’ desire to cap campaign contributions. In fact, Republicans recently lamented the influence of outside donors in the much-hyped special election for Georgia’s 6th District in June. Democratic candidate Jon Ossoff outraised GOP candidate Karen Handel by millions of dollars, yet only 14 percent of contributions to his campaign came from Georgia. The rest came from donors in liberal states. Handel got 56 percent of her campaign funds from within Georgia. (Ossoff lost.) Handel told Fox & Friends, “[Voters] are not interested in Hollywood and California coming in and buying this seat.” Alaska, it seems, isn’t interested in BP and Exxon buying its seats, either.